Rajasthan has been the epitome of India’s cultural royalty for years now. Despite the modernization, this is one state that takes pride in its culture. Apart from the beauty and their hospitality, there is another reason to visit Rajasthan. When we say this, we mean not just visit but, experience Rajasthan to the fullest and don’t miss the events and festivals in Rajasthan. They bring every moment alive. Parvathi or Shiva, the spouse of Lord Shiva is a symbol of virtue and devotion and seen as a legendary figure for married women. The Gangaur Festival is held in her honour. The festival is celebrated mainly in Udaipur, Jaipur and Mandawa during the months of March or April. Women and young girls wear traditional attire like Lehenga or Chania choli to sing, dance and pray to the Gangaur demonstrations of Lord Shiva and Parvathi. The young girls pray for grooms of their choice while married women pray for the safety of their husbands. During the festival, various processions are arranged which reveals the arrival of Lord Shiva to take his bride home. The festival goes on for almost two weeks after Holi. Mewar festival, one of the best festivals in Rajasthan is celebrated to denote the welcoming of the spring season with the highest enthusiasm and decoration in Udaipur. During the festival, the whole city of Udaipur is drenched in a splash of festivity. 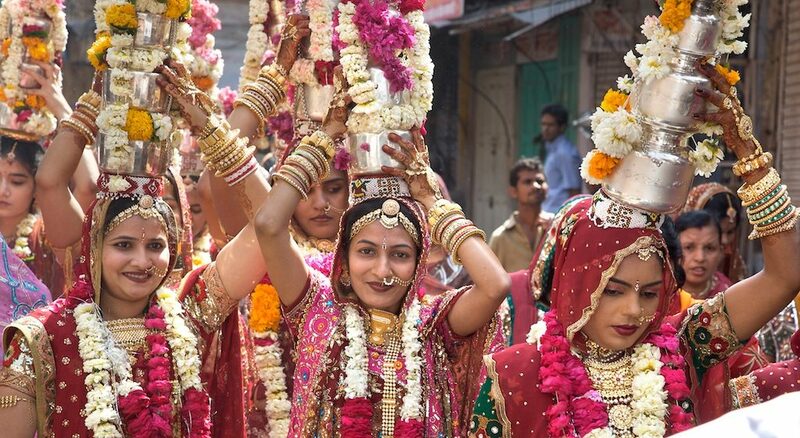 Alike the Gangaur festival, the Mewar festival is equally significant for the womenfolk of Rajasthan. All the women gather to dress the images of Lord Shiva and Parvathi. After dressing the idols, they carry them in a traditional procession passing through different parts of the city. In the last, the procession makes its move towards the Gangaur Ghat at Pichola Lake. At this point, the images are transported into special boats and immersed in the deep waters of the lake. 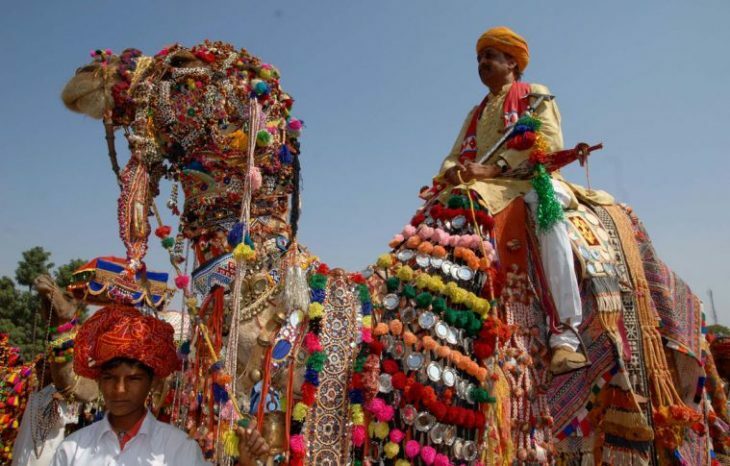 The Jodhpur Desert festival takes place in the month of January. 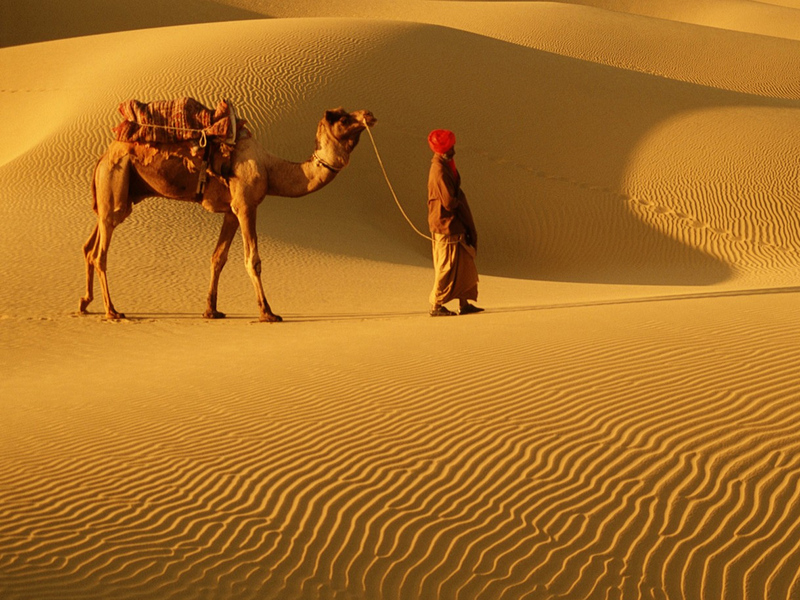 It is celebrated on the Sam Sand Dunes, which is 24 km away from the Jaisalmer City. Camels from all over Rajasthan assemble here and perform a breath taking show. The festival is celebrated for three days with pomp and splendor. The Desert festival offers a platform to the rich cultural art, music and dance tradition of the state. The prominent attractions of this festival include camel races, puppet shows, Gair and fire dances, turban-tying competition, Mr. Desert contest, the tug-of-war, ballads and a lot more. As darkness falls, the Sam dunes come alive to the balladeers’ emotional songs about the soldier-kings and their companions, as the puppeteers dramatize the epics. Attending this festival is among the top things to do in Rajasthan. The Pushkar festival is famous worldwide and it happens in the month of November. During this time, the whole of Pushkar transforms into a magnificent ground where thousands of pilgrims visit to take bath in the Pushkar Lake and pray at the Brahma temple. Pushkar fair is the biggest cattle and camel fair where breeders, farmers and camel traders buy and sell. It is also the time when all of Pushkar comes together to entertain each other with folk songs, dance, campfires and shopping. The Pushkar festival is a pride of the Rajasthan tourism. 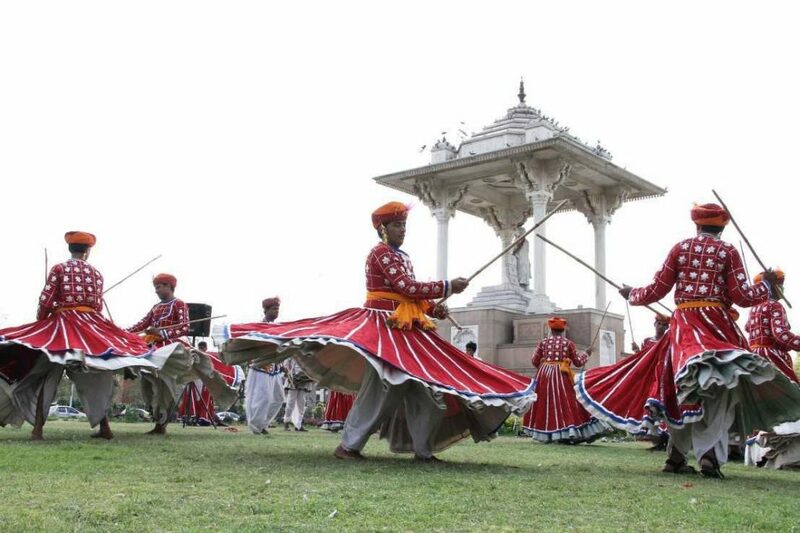 Marwar festival is dedicated to the dance and music of the Marwar region. The festival takes place in the month of October in Jodhpur City. It truly reflects the art and culture of Jodhpur and also, the Maand festival is an important part of this festival. Teej takes place at the beginning of the monsoon season during the month of August. This festival is celebrated all over the state elaborately in Jaipur. The idol of Goddess Parvathi is taken out in a colourful parade along with dance and song, for two days. ‘Jairangam’ is an annual national theater festival held in Jaipur. It is a weeklong festival and showcases mainstream theater activities from all over India. The biggest names of the theater world come to Jaipur to perform their best plays. This is a paradise for every aspiring theater artist. The Summer Festival is celebrated in Mount Abu, which is the only hill station in Rajasthan. This is the only festival that takes place in the summers, in the month of June. Cultural programs, folk dance and music are performed by the Bhil tribes of the region. The festival brings an atmosphere of happiness in the town so that the tourists can cherish their visit to Mount Abu, forever. You don’t just go to Rajasthan, you experience Rajasthan! These are the 8 exceptional festivals. These are the 8 exceptional festivals that you mustn’t miss at all! 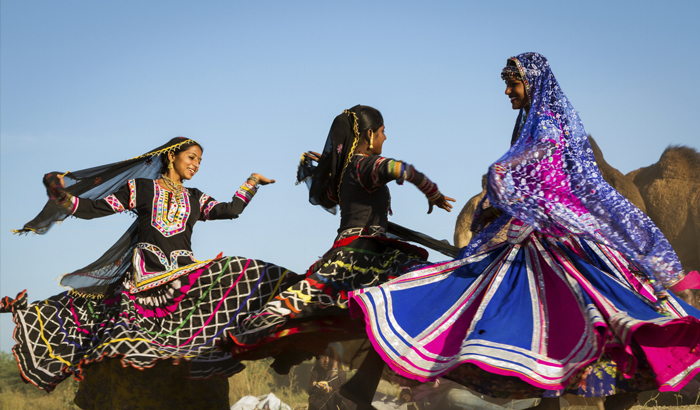 So, plan your next trip to Rajasthan and brace yourselves to be mesmerized by the colors of festivity, art, and culture. Festivals in Rajasthan. Delight your eyes with royalty and get a first-hand experience of Rajasthan’s majestic festivals that are a joy to watch. Hello, Thanks for sharing such a fantastic blog.I really appreciate your blog to share information about Rajasthan …Visiting in Rajasthan is amazing experience.Royal Rajasthan is not only the the land of Kings but also famous in tourist destinations in all over the India. Rajasthan is only one of the place where tourists can enjoy with many of things such as culture, civilizations, history, fairs & festivals, Songs & dances, food, forts, temples, lakes, hills and natural beauty with adventure tours. best blog…Virasat Restaurant is a best restaurant in Jaipur you get royal experience by live music, folk dance, Rajasthanithali, Ganlanding,Royal Welcome, feet Wash.